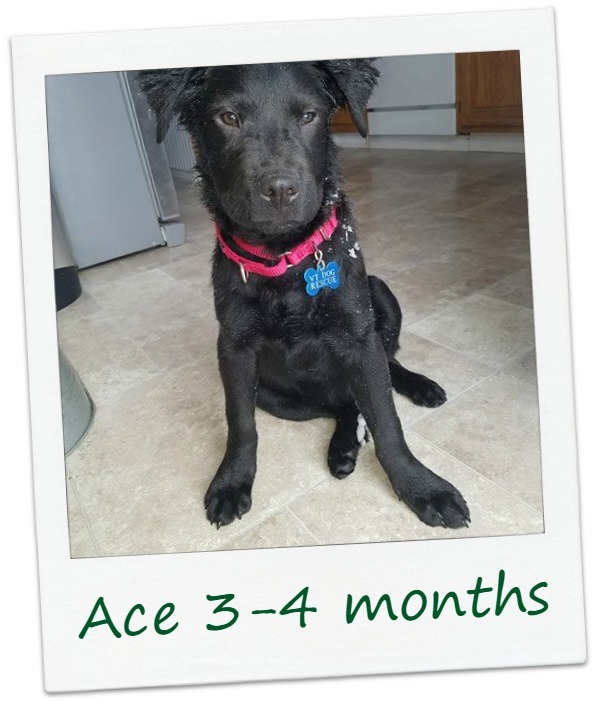 Ace is a 3-4 month old Border Collie mix who weighs about 22 lbs. He gets along well with other dogs and loves his foster sister, Nala. He is crate trained, housebroken, and an all around awesome pup! Ace is super smart. In one of the videos below you can see he's carefully bringing all the toys one by one into his crate. His foster sister is not a fan of crates so she won't go inside. Ace figured this out right away. He has lots of positive, happy puppy energy and is playful with people & other dogs. He gets along well with kids & dogs, has not been exposed to cats - but is at a great age to learn. He seems really happy just to be inside a warm home, with food in his tummy, and people who love him.